The septum is the cartilage and tissue that separates the nasal passages. Due to a variety of causes, the septum can become perforated, with a hole extending through the membrane of one nostril, through the bone/cartilage in the nose center, and passing through the membrane into the other nostril. This can cause bleeding, crusting and difficulty breathing, making it often intolerable for the sufferer of the condition. A septum perforation can be caused from injury, nasal drug use, infections or past nose surgeries, and is more complicated to repair than it would seem. Since the hole passes through three layers of tissue, it is a sinus and breathing enhancment treatment that requires extreme expertise in nasal repair. Some physicians will suggest the use of a septum button that temporarily plugs the perforation, but most patients are not comfortable with using these implants for a long-term solution. 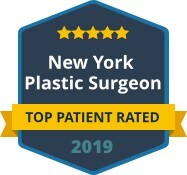 Although some people are willing to live with the annoyance of a septum perforation, undergoing nasal irrigations and using nasal buttons to control the problem, surgery is a more permanent solution. With septum perforation repair, the patient’s nasal functions can return to normal, relieving the ongoing symptoms and complications that can accompany a septal perforation. 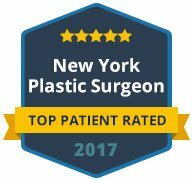 To learn more about surgical options for repairing septum perforation, contact us today to schedule a private consultation with Dr. Khosh. 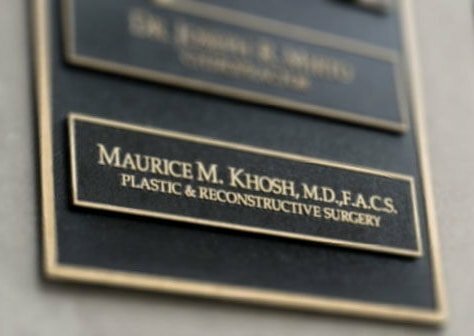 As a dual board certified plastic surgeon specializing in nose surgery and repair, Dr. Khosh is the surgeon to trust for any septum perforation problem.